Staying up for the no-name flyby - NASA travels 44 AU to photograph an object a mere 20 miles across that is 44 AU from our Sun. Who will be staying up late tonight (December 31)? The probe's closest approach will be at 12:33 a.m. ET on Jan 1. The report goes further to explain that it takes about six hours for the New Horizons data to get all the way back to Earth, and researchers expect that detailed images from the spacecraft's close flyby will be unveiled to the public on Jan. 2. See NPR's report: "Way Beyond Pluto, An Icy World Is Ready For Its Close-Up" December 31, 2018. This is an added gem of the entire mission. NASA has performed extremely well, about to obtain close up photos and data (2,200 miles out of from an object that is a mere 20 miles across in size, and located about a billion miles beyond Pluto. It has taken more than a dozen years to reach this object, and it reached Pluto in 2015, so that provides some perspective on just how traveled this probe has traveled to date. This object is 44 times farther from the Sun than Earth. That's 44 astronomical units, for our local strict math majors like Orestes (Ok, so he is but more a mathematical physicists than astronomer, but he enjoys both). [It's not often you can measure things around here using the AU measurement (9.2956×107 mi)]. 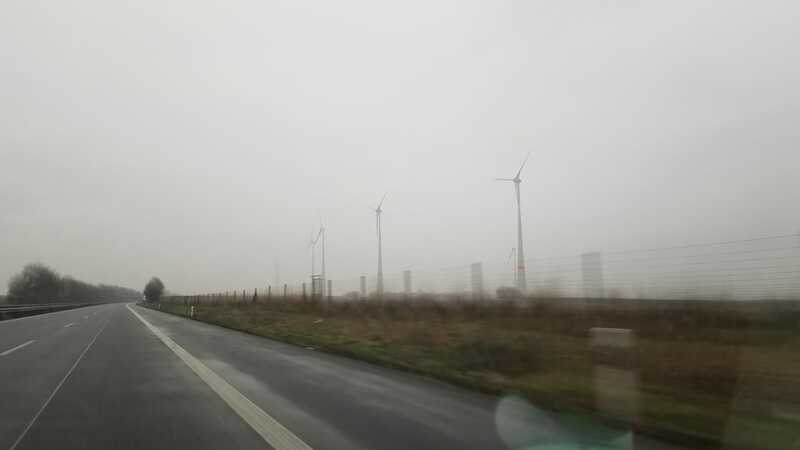 Photo below: Windmills off the Autobahn A63. On the way to Frankfurt International. FPL's Cutler Plantation property reported to be sold and closed. Next step up to developer. No notice of whether any pre-sale meetings were held with the village. Sources state that real estate developer Oscar Barbara, CEO and chairman of Luxcom Builders, has purchased the property for $33 million. 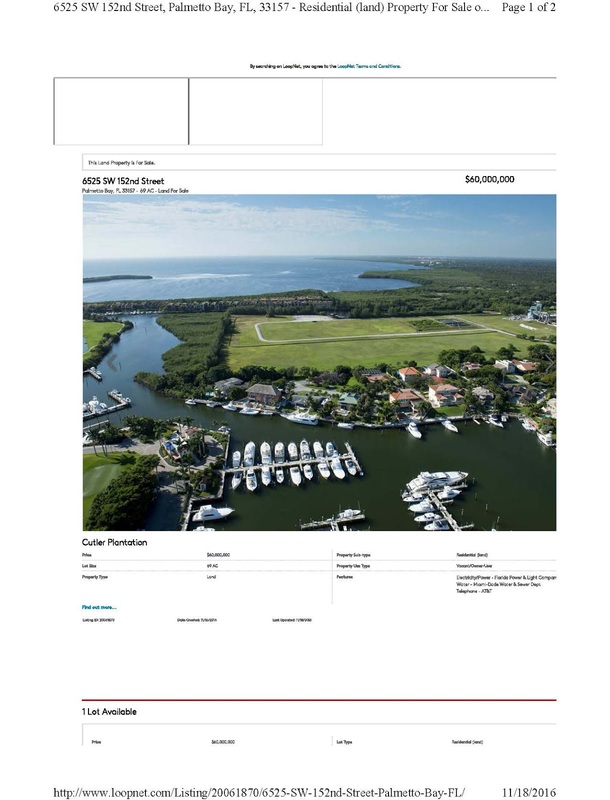 This property is 71 waterfront acres in Palmetto Bay from FPL – this is the property marketed as “Cutler Plantation” which is located at 6525 SW 152nd St. Avison Young's Florida Capital Markets Group negotiated the sale on behalf of FPL. The date for the sale was December 21, 2018. I do not know if this is the contract or closing date. The sale / change of ownership in not currently reflected on the Miami Dade property search website. It is not uncommon for change of ownership to take 30 days for updates to the Property Appraiser’s website. 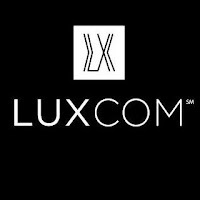 Luxcom has a very detailed website where you can view some of the projects/properties CLICK HERE. I will update as more information arises. 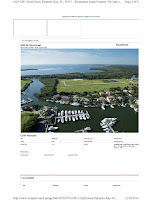 PRIOR / RELATED POSTS: CLICK HERE to view prior related posts on FPL's (or formerly FPL's) Cutler Plantation property. I previously advised that the FPL property was for sale in a December 19, 2013, post (which never closed)- FPL | Cutler Plantation - Opening price - $40 Million- and have continued to keep our residents informed, including: "Cutler Plantation" property was back on the market in a prior post of November 25, 2016, FPL property - "Cutler Plantation" property is now back on the market - seeking $60 million. There is more going on here than a simple stealth tax. Palmetto Bay has significant capacity to adjust the municipal property tax millage rate to compensate. 2.2387! I remain proud of leading the Palmetto Bay village council to REDUCE the property tax millage rate to an all-time low of 2.2387. See where I led Palmetto Bay to reaffirm fiscal responsibility & government lite. Palmetto Bay is protected from adverse results if FPL should no longer collect and remit the franchise fee. A cessation of collecting the FPL franchise fee (tax) paid by electrical service consumers hits governments hardest that are near or at their maximum millage allowable. So Palmetto Bay is really not at risk should Florida Power and Light follow through on its threat to Miami-Dade County, in stating (or posturing) that it no longer wants to collect a 3 percent tax from its customers outside city limits in Miami-Dade, effectively ending renewal talks with the county. FPL has NOT – I repeat, has NOT, made a similar statement to Palmetto Bay, at least during my term of office. The county’s loss would be suburban rate payers’ gains once the current agreement expires in 2020. The franchise fee in unincorporated Miami-Dade is set at 6 percent, but credits allowed for property tax bills that FPL pays typically result in a monthly fee of between 3 percent and 4 percent, according to the county. Miami-Dade released updated budget forecasts Wednesday showing the lost franchise revenue dramatically increasing deficits for county operations in the Unincorporated Municipal Services Area (sometimes called UMSA). The deficits arrive in 2020, and hit $84 million worth of red ink by 2025. That’s far worse than the earlier forecast with millions of franchise-fee dollars, when the deficit only hit $58 million. This is more food for thought, a small bite, and additional background on this developing potential issue. This is a mere set up to Part III when I will post who this really impacts, what groups really benefit and where the costs of government are shifted to should the FPL Franchise gravy train ends for local government. POD #2 - screen shot of a crime in progress, Can anyone identify? Does this photo provide any stimulus to anyone regarding any recent crimes? It is unfortunate that crime happens. We cannot ignore or deflect it, leadership requires accuracy and action. Please click onto the headline to view my 2006 article addressing Crime in our village - Village residents are essential element of crime reduction team, By MAYOR EUGENE P. FLINN, June 2006. CLICK HERE to view the Palmetto Bay Police Page. There are many resources posted there including the long running "lock it or Lose it"program info, Crime & Incident Reports and Maps, as well as links to Florida Sexual Offenders & Predators (where you might be surprised at some of the listings). This information is there as part of the commitment from our village police to work with our village residents to fight crime here in Palmetto Bay. POD - German wind turbines. Clean energy sources. Photo of the day - I selected this photo of German wind turbines sent to me from Palmetto Bay residents who are presently on holiday overseas. The photo below was taken at Kaiserslautern, Reinland Pfalz. Many of these turbines are located high on the sides of hills or mountains. 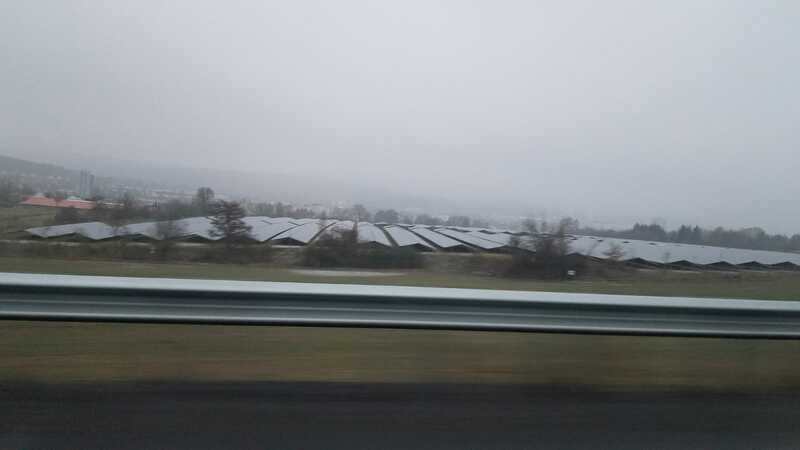 Some of these clusters produce enough power for entire cities (2 windmills in this cluster). They are usually grouped in clusters of 5+, up to 10+. "Throwback Thursday" - SNL - parody of the Movie "Beastly" - August 2013. I won't explain the relevance. 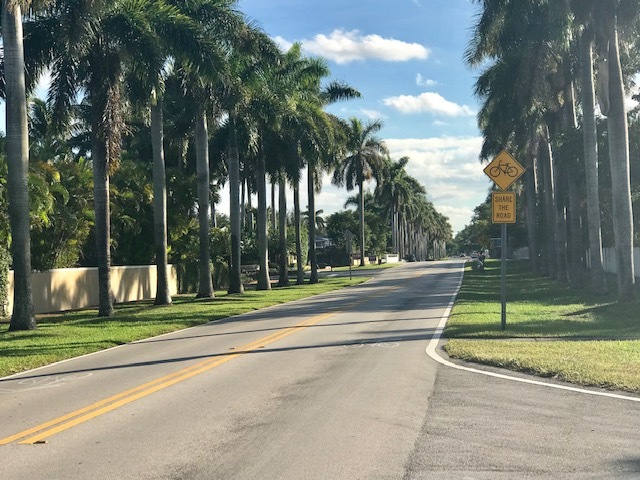 Palmetto Bay runs on much more than property tax. This blog looks at one such additional source of revenue, FPL's franchise fees - a subtle pass through tax consisting of 3-6% of your electric service charges that is collected through your electric bill. What is it and where does it go? Florida Power & Light collects a “franchise fee” for cities and counties across the state, and the for-profit utility turns over the money to local governments as a pass-through tax. The money generally goes into the general coffers of local governments, paying for police, parks and other core services. While all of FPL’s other franchise agreements in Florida can be approved by city councils and county commissions, Miami-Dade’s charter contains a unique rule: Voters must approve the agreement by referendum. The above is an excerpt from Miami Herald online, July 31, 2017: Only in Miami-Dade do voters have the power to lower FPL bills. But will they? by Douglas Hanks. A good read both describing the tax and the political issues surrounding it. By agreement, Palmetto Bay receives its share of this franchise fee, its proportional share collected from Miami-Dade County. 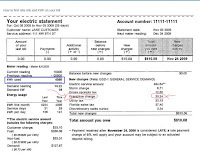 View the FPL created sample bill (posted right) - the sample municipal tax for that month is $30.24 on a total electric service bill of $484.64. That means this (fictional/sample) account payor would pay $362.88 to the municipality annually based upon electric usage if this sample bill was an average of the entire 12 month service activity. It is now time for Palmetto Bay to negotiate its own franchise fee agreement with Miami-Dade County. First, will Palmetto Bay negotiate a 3 or a 6% tax collected by FPL on the electric service bills and turned over to Palmetto Bay. Second, will there be a franchise fee at all? This franchise fee is estimated to result in $800,000.00 tax revenue to the village in this current 2018-2019 municipal budget. Besides ad-valorem taxes, projected revenues for the remaining budget include $4,100,000 in utility taxes and franchise fees, $2,362,076 in inter-governmental revenues, $1,316,463 in licenses, charges and permits, and $258,980 for other miscellaneous revenue services. Franchise Fees: Franchise Fees are charged to service providers for an exclusive or non-exclusive right to operate within the municipal boundaries of the Village. The charge is levied on a percentage of gross receipts basis. Electric Franchise Fees: The largest of the franchise fees is the electric franchise fee collected from Florida Power & Light. The Village is eligible to receive electric franchise fees under the County's franchise agreement, through a separately negotiated InterLocal Agreement (between Miami-Dade County and various municipalities including Palmetto Bay): CLICK HERE to view sample. The revenue is collected by FPL from the electric accounts, passed to the County and ultimately remitted to the Village once a year in September. The budget is based on the estimated amount collected for the prior year. Will Palmetto Bay even have an opportunity. What happens if it fails to negotiate this agreement? 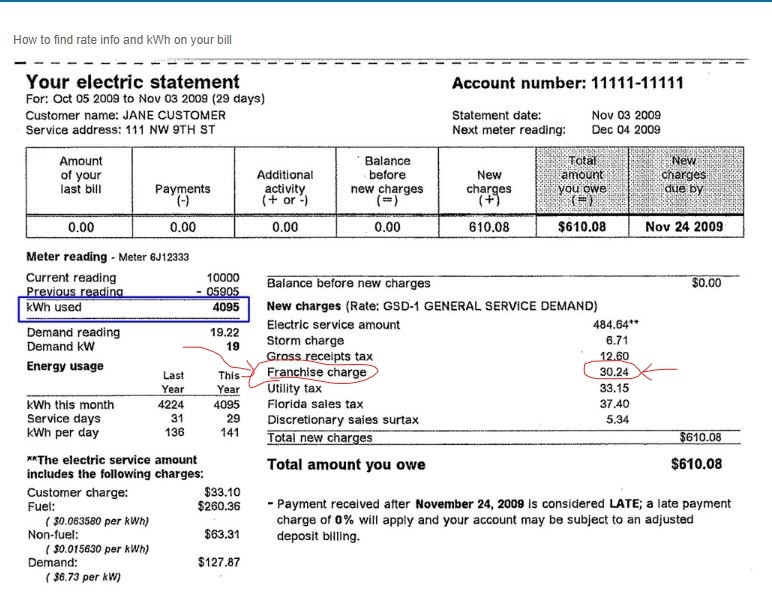 If successfully negotiated, will Palmetto Bay collect 6% of the electric bills, 3% or less? On December 7, 1914, Pope Benedict XV suggested a temporary hiatus of the war for the celebration of Christmas. 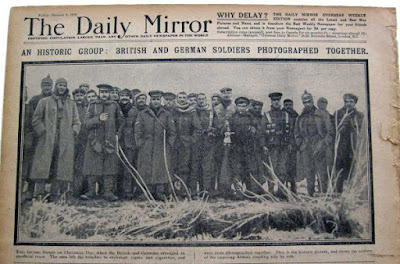 The warring countries refused to create any official cease-fire, but on Christmas the soldiers in the trenches declared their own unofficial truce. 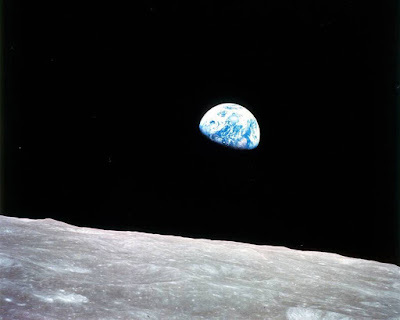 Apollo 8, we all monitored that mission (all space missions at that time) - we later saw the Earthrise photo taken 50 years ago today, 12/24/1968. The other, and certainly less important, was back in 1971, when the Miami Dolphins were relevant, and played in the Christmas Day playoff game against the Kansas City Chiefs. The double-overtime game remains the longest game ever played in NFL history. The Dolphins were led by coach Don Shula, and six players – Nick Buoniconti, Larry Csonka, Bob Griese, Jim Langer, Larry Little, and Paul Warfield. I prefer the space memories, looking up as if I ocul actually see something with my own eyes, if I could only focus on the exact spot near the moon. One of the many gifts that space exploration/NASA has provided to us. Tonight we will meet for the feats of strength. Please, no tinsel, I find it distracting. This video depicts the outpouring of support at Cycling Family Broward's (CFB) Ride of Silence in remembrance of Carlos Rodriguez and Denise Marsh held Saturday, December 22, 2018. Many hundreds of cyclists participated. Some officials put the number of participants close to 1,000. The video provides prospective. Many participants donated $20 (suggested, not mandatory) to go towards the funeral and medical expenses of all cyclists involved. The ride started at the Corporate Pavilion in Markham Park in Sunrise, FL and was escorted by 7 motorcycle officers from BSO. The first two spots on left side open for victims Denise Marsh and Carlos Rodriguez. One: for Denise Marsh and Carlos Rodriguez. CLICK HERE to view prior posts relating to Ride of Silence. Video and photo credit: Original video posted by Arturo Valery, Published on Dec 22, 2018. Photos Pruna Productions. The National Weather Service (NWS) Miami is forecasting that Miami-Dade County will be experiencing temperatures in the low 50s ̊ F on Saturday, December 22, 2018, from 4am-5am and temperatures are expected to be in the upper 40s ̊ F on Sunday, December 23rd. As a result, the Homeless Trust will initiate their Cold Weather Emergency Plan commencing 10am on Friday, December 21 until 10am on Sunday, December 23rd. The Homeless Trust has advised all emergency shelter providers to bring in homeless populations on Friday and have them remain indoors throughout the weekend. Attached is the memo from Homeless Trust. "Curiouser and curiouser" - it appears that the new council will get its wish - no community center in a commercial area, recovery of the money spent on that land, and the delivery of a charter school they alleged was never going to happen. This was quite an unexpected letter. One might say "curiouser and curiouser." I am looking forward to the response from the Mayor and remainder of the Village Council. Ho Ho Ho - for Christmas, the current Mayor and Village Council may bring us - a charter school! We have continuously been told (assured?) by the current mayor and vice mayor as well as their supporters that a Charter School was never going to go there. If true, than this letter can be described as the $2,950,00 bluff or the $2,950,00 double down. 2 current members of this village council - Vice Mayor DuBois and returning council member Patrick Fiore voted IN FAVOR of the charter school back in 2014 - see zoning resolution, 2014-30, approved March 17, 2014 as discussed in background provided far below. 2 current members of the council - current Mayor Karyn Cunningham and Vice Mayor DuBois voted against purchasing the land away from the charter school. Candidate and now council member Marsha Matson was publicly opposed to the purchase of this land away from the charter school. 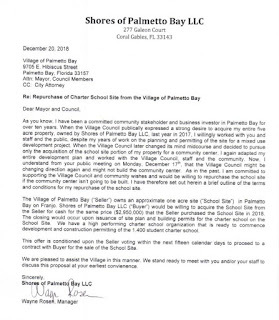 Shores of Palmetto Bay LLC ("Buyer") would be willing to acquire the School Site from the Seller (Palmetto Bay) for case for the same price ($2,950,000) that the Seller purchased the School Site in 2018. "The closing would occur upon issuance of site plan and building permits for the charter school on the School Site." "We (meaning the "Buyer") have a high performing charter school organization that is ready to commence development and construction permitting of the 1,400 student charter school." The campaigns are over and now it is time for delivery. Its time to put up or (be quiet). I will note that, in my opinion, this is/was the last piece of property available to keep the promise of the Community Center - part of the strategic parks master plan of 2007. I doubt that the community wants a Community Center to be placed deep into a residential neighborhood. This property would also serve our community well as a multi-modal transportation center, but there appears to be no vision, no will, for anything to happen that would serve our community. The facts are undisputed that David Singer, Larissa Seigel Lara and I removed the Charter School through the only legal means possible: we purchased the property out from under them and negotiated a private (and enforceable) covenant with the owner of the remaining property that no school would go on the remaining property. So what are the facts about the Charter School? I put out the facts during the campaign as as part of my rumor control. I posted the zoning resolution, 2014-30, approved March 17, 2014, that cleared the way for a 1,400 seat Charter School to be located at the "third parcel from the NE corner of SW 97th Avenue and SW 180th Street, Palmetto Bay" - that's legalese for identifying the Shores property. (CLICK HERE and review in detail). The Zoning resolution was signed by then Mayor Shelley Stanczyk based upon the unanimous 5-0 vote of that Village Council - Voting yes were then mayor Shelley Stanczyk, Vice Mayor John DuBois and the council members serving on that council: Patrick Fiore, Tim Schaffer & Joan Lindsay. The Village attorney at that time was John R Herin, Jr., Esquire. "That the Mayor and Village Council find, based on substantial competent evidence in the record, that the application for the charter School is consistent with the Village of Palmetto Bay's Comprehensive Plan and the applicable Land Development Regulations." Page 1, lines 20 - 22 & 34 - 35. Page 1, lines 37 - 40. 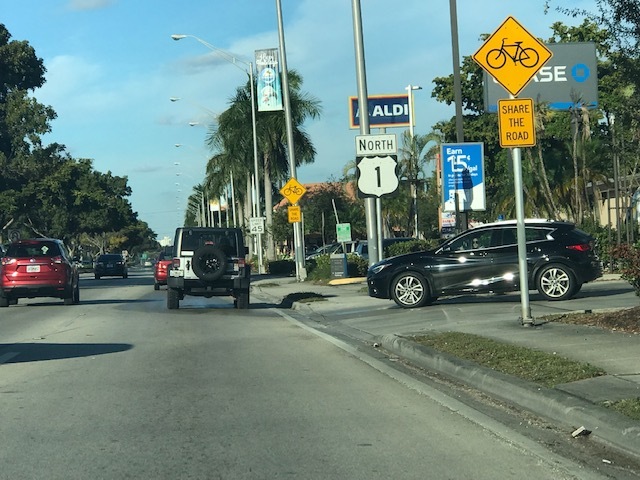 "c. The Applicant’s traffic study indicates that the number of trips generated by the proposed use does not cause the adjacent roadway to exceed the maximum capacity thresholds establish by Miami-Dade County. 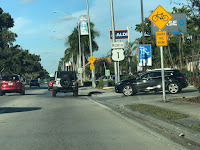 The Village's traffic engineering consultant and the Traffic Engineering Division of Miami-Dade County accept this finding with conditions as noted in the staff report." Page 1, lines 42 - 46. 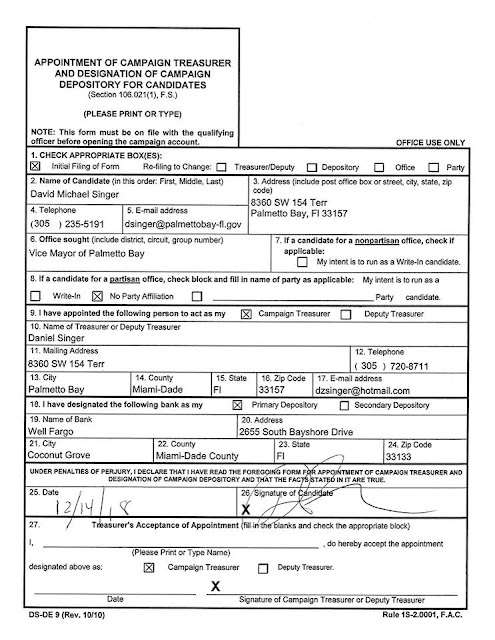 Again, all this information is available online throughout the official village archives, my past blog posts and official Miami-Dade County Court records. Please take notice of a severe weather update from the Miami-Dade County Office of Emergency Management. Please make sure you plan your day accordingly and have your pets, children or anyone requiring special assistance properly provided for. The National Weather Service has forecast severe weather periodically throughout the day with increasing potential this evening and into Friday. Some storms could be severe, with damaging winds, heavy rain and isolated tornadoes. A Gale Watch is in effect for all waters starting Thursday afternoon. Widespread rainfall is forecast, 1”-2” inches, and isolated higher amounts. A possibility also exists for cold weather starting this weekend. OEM will continue to monitor the weather forecasts and provide additional notifications as conditions warrant. For forecast information specific to your area please visit: http://www.weather.gov/mfl. Best Christmas Ever - SNL "even when it's the worst, it's the best"
Too funny. Sometimes the humor is in the truth. I am presenting an update relating to local issues, local places. This is part of a developing "taking a close look at" or "Fact Checking" series on issues and places in and around Palmetto Bay and our south Miami-Dade Communities. 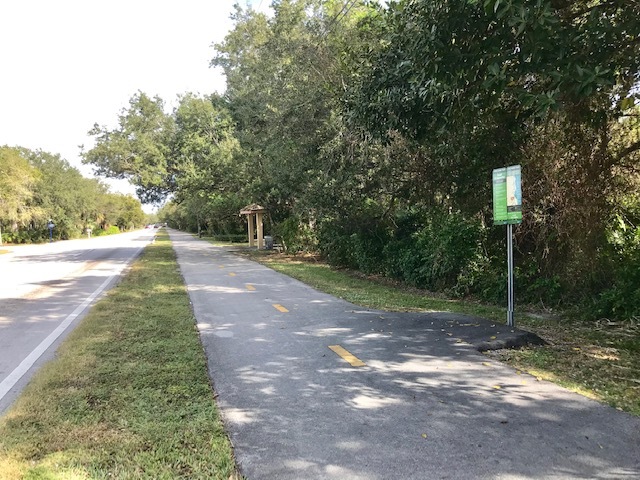 Old Cutler Trail, an eleven mile multi-use path that runs from Cocoplum Circle to 244th in Cutler Bay. It provides connections to both the Biscayne Trail and Black Creek Trail at various points. WALK RIDE U.S.A. bills itself as "A guide for recreational trails for walking, running and cycling located throughout the U.S.A." Here is what it has to say about the Old Cutler Trail: (CLICK HERE). 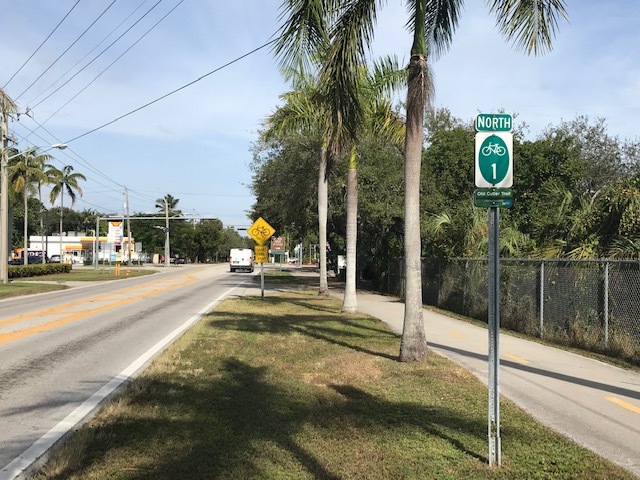 One common misconception is that the Old Cutler Trail is a dedicated bike lane where bicyclists should ride rather than riding along side the street. 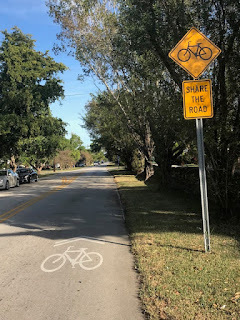 I am posting information taken from an official Miami-Dade County website, Parks & Open Spaces where you can learn about bike lanes, paved paths, paved shoulders, shared lane markings and wide curb lanes. 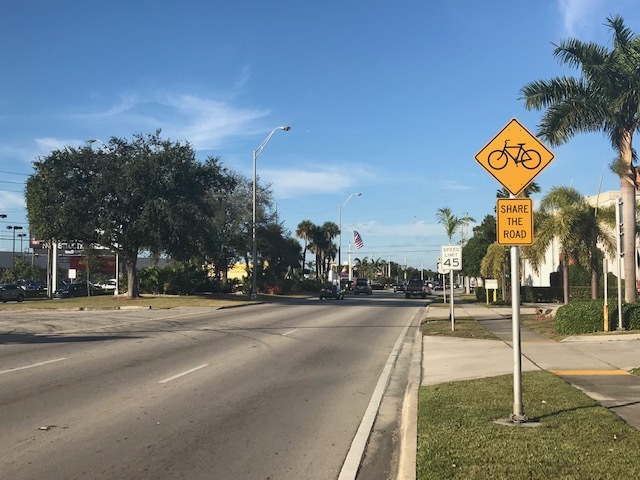 Bike lane: Bike lanes are areas on the road that are marked for use by bicyclists. Vehicles can cross bike lanes to make a turn or to park. Paved path: Paved paths are two-way paths that are physically separated from the road and are shared by bicyclists and pedestrians. Paved shoulder: Paved shoulders are slightly narrower than a full traffic lane. They are are a safety feature usually found on rural highways. Paved shoulders reduce the risk of run-off-the-road crashes and provide space for bicyclists and pedestrians. 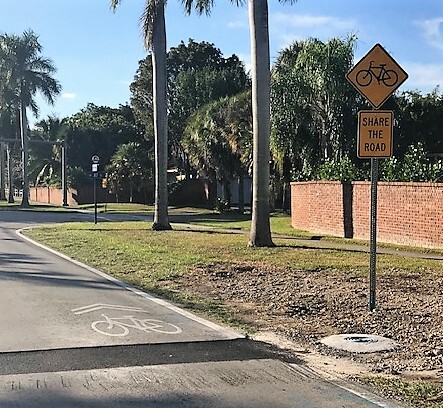 Shared lane marking: Shared lane markings (or ''sharrows'') are a roadway marking that helps guide bicyclists to ride outside the ''door zone'' next to on-street parking and where they are visible to motorists turning from side streets. Shared lane markings help improve safety. 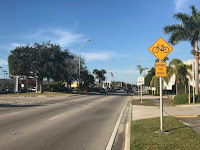 Wide curb lane: Wide curb lanes are outermost lane of a roadway that are wide enough (usually 14-feet wide) for a bicyclist and a motor vehicle to share the lane safely. Wide curb lanes are usually used when there is not enough space to add marked bike lanes. Old Cutler Road is both a "Sharrow" as it has shared lane marking and signage and it has a multi-use path. Bicyclists have the right to use both Old Cutler Road and the Old Cutler Multi-use path. 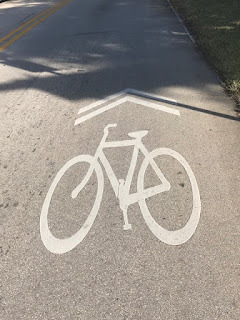 So what is a "sharrow"? A sharrow is not a bike lane, as it does not create road space nominally reserved for bicycles. Instead, it is meant to be used in situations where cyclists and drivers must coexist in the same lane. (Think slower-moving neighborhood streets; you’re never supposed to see sharrows in areas with speed limits above 35 mph.) Primarily, it’s a positioning tool that tells you where to ride to avoid both flung-open car doors and vehicles passing too closely. In theory, if you ride where the sharrow is placed, you won’t find yourself squeezed in a lane too narrow for cars and bikes together. 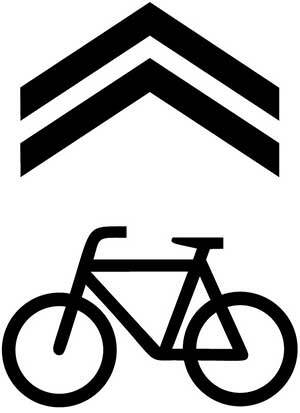 The sharrow also conveys information. It’s meant to help cyclists stick to recommended bike routes, avoid wrong-way riding, and find gaps where a bike lane might temporarily disappear. 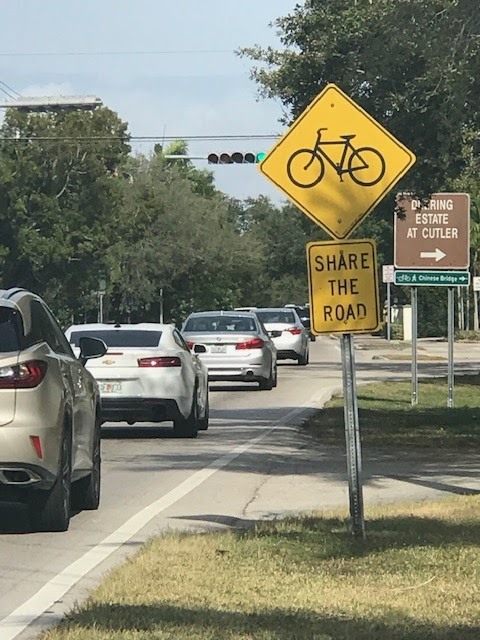 It should also alert drivers to the likely presence of bikes, encouraging them (supposedly) to move a little farther to the left if they want to pass a cyclist. 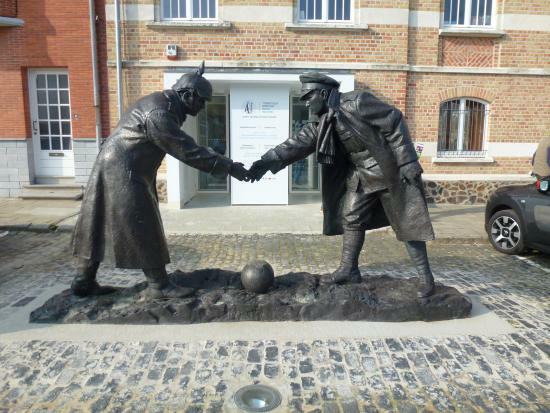 Above - left & right. 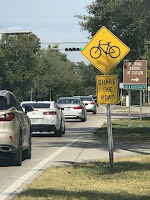 Note that all of US1 is a sharrow - believe it or not. The right lane is wider to accommodate bikes. Note there is no extra lane space added to a sharrow. 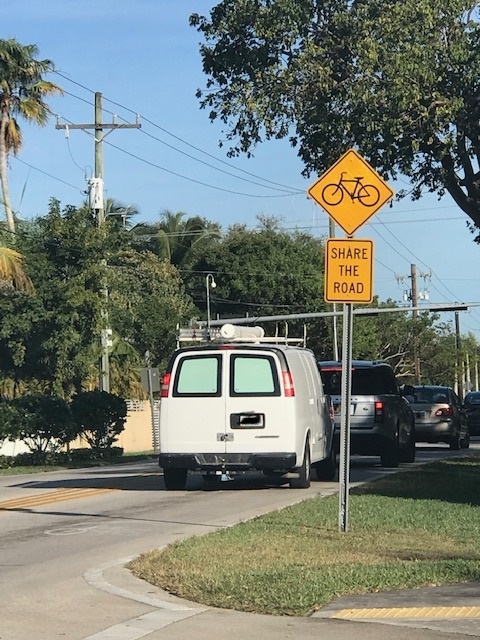 Motor vehicles and bicycles must share a standard size lane. Looking ahead at 2020. Guess who's getting ready to file their paperwork for the 2020 election. More Christmas Music - metal Christmas - Twisted Sister - "Oh Come All Ye Faithful"
Nature is providing some free family time entertainment. See Travel + Leisure, A 'Christmas Comet' Will Light Up the Sky This Weekend — and It Won't Shine This Bright Again for 20 Years for the full story on Comet 46P/Wirtanen which is described as already the brightest comet in the night sky and is predicted to be bright enough to be seen with the naked eye during the holiday season. Comets rarely get bright enough to see without telescopes, so this is a rare chance to cross comets off your celestial bucket list. 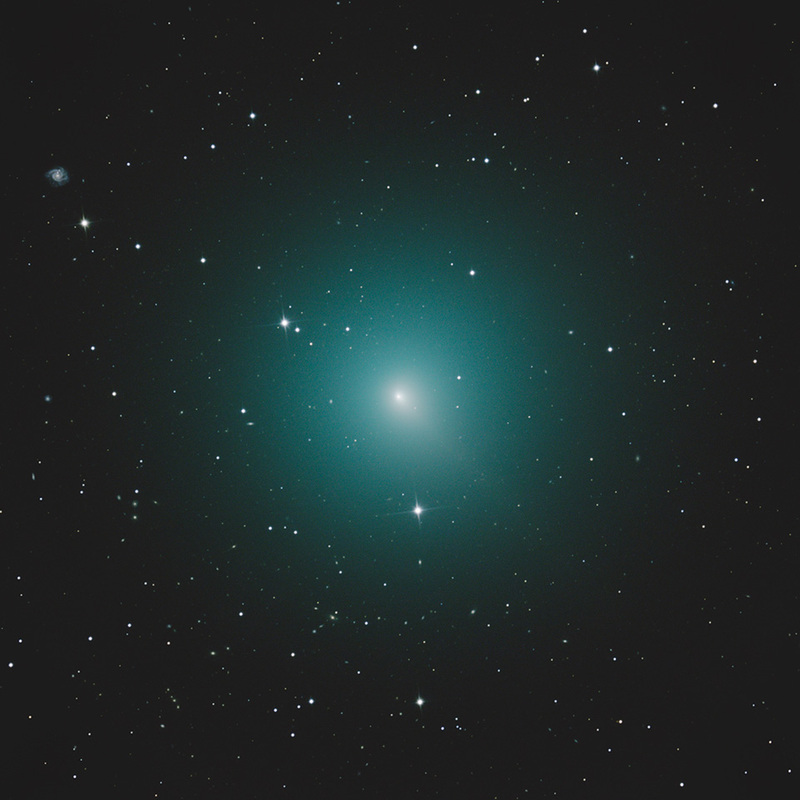 Although it's been visible to those with telescopes and powerful binoculars for a few weeks, 46P/Wirtanen will be both at its brightest, and most easily found, on and around Dec. 16, 2018. That's because on that date 46P/Wirtanen reaches what astronomers call perihelion, when it’s nearest to the sun, so it has the maximum amount of sunlight reflecting from it. It may reach a visual magnitude +4 or maybe even +3, which means that it will be easily visible to the naked eye. How to find it. I use Star Walk 2 and SkyView apps to assist in finding objects in the night sky. Look to the constellation of Orion, to the southeast. Follow a line from the lowest to the highest star of the three stars that make up Orion's belt, to a bright red star. Go the same distance again and you'll see the Pleiades star cluster (also called the Seven Sisters), which is so bright you will probably have already noticed it as a bright smudge in the corner of your eye. 46P/Wirtanen will be just below the Pleiades, slightly to the left. Memories - it is simply not the Christmas season without watching the original animated classic. Counting down with some Christmas time music - 12 days til Christmas. Singer Speaks, December 12, 2018: Transparency, Truth and Trust - Part Two. 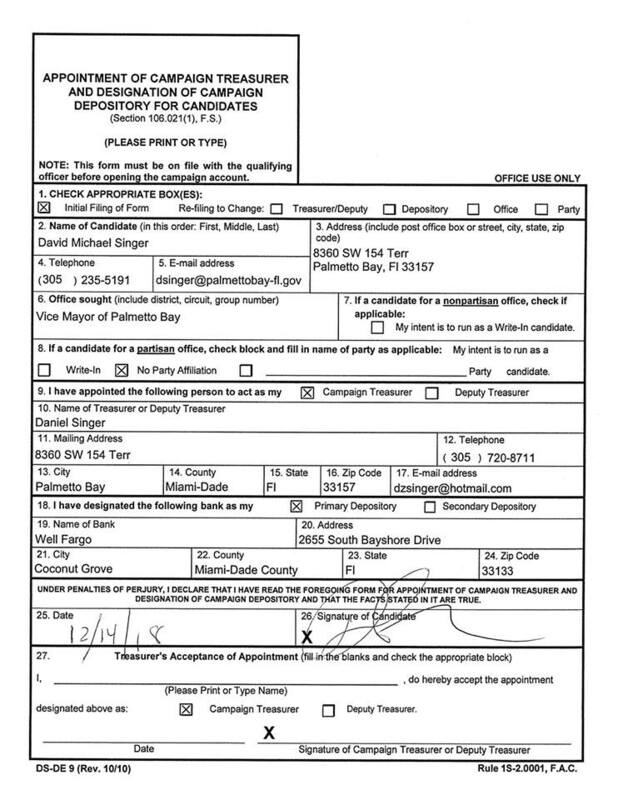 "Is government transparency slowly dying in Village of Palmetto Bay politics?" Transparency, Truth and Trust - Part Two. The liberties of a people were, not ever will be, secure, when the transactions of their rulers may be concealed from them. Is government transparency slowly dying in Village of Palmetto Bay politics? There are two ways to deny public participation in government. The first, and most obvious, is to not give notice. The second, and much more subtle, is to purposely schedule Council meetings at times very inconvenient to those who would want to participate. In an unprecedented move Vice Mayor John Dubois has called a Special Council meeting for Monday morning, December 17th at 11:30 am. An inconvenient time when the majority of Village residents will be unable to participate because they will either be working, on vacation or preparing for Christmas. Did the Vice Mayor purposely call the meeting when no one can attend? Not even yours truly. This will be the first Council meeting since Incorporation (over 16 years) that has been held, during the morning and as with any Council meeting three Councilmember’s must be present for the meeting to be held. The members that have confirmed their presence are the Vice Mayor, and Councilmembers Marsha Matson and Patrick Fiore. 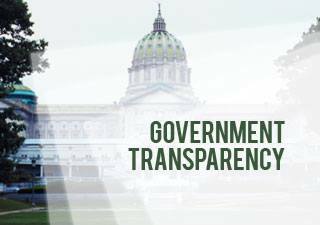 Prior to being on the Council, Marsha Matson appeared to be a very strong advocate and preached endlessly for the need of government transparency. It seems as if things have changed now that she is the Council representative of district three. This is the second time in so many weeks that she has worked to thwart transparency in the Village. In my opinion, she is certainly off to a precipitous start of her term. As far as Councilmember Patrick Fiore, you would think he would know better after serving four years on a prior Village Council. Mayor Cunningham and I don’t always see eye to eye on politics, but Village transparency is one that we agree on. As I write this newsletter, and much to her credit, she has not yet agreed to attend this special Council meeting. I have not talked to her about this meeting because it would be inappropriate but I’m sure she is not too happy this issue in coming forward in her first month of her term as the newly elected Mayor. Vice Mayor John Dubois has shown absolutely no respect for Mayor Cunningham by calling a Special Council meeting without her apparent willingness to attend. He has also shown no respect for her by calling an unprecedented Council meeting that will occur on a Monday morning, just a week prior to Christmas. In addition, he has shown no courtesy for the Village residents who usually attend Council meetings but will not be able to attend due to the suspicious timing of this particular meeting. The reason for Vice Mayor John DuBois calling this Special Council Meeting is sketchy at best. There is no legitimate agenda, and the sole reason for calling This Special Council Meeting is “for the purposes of discussing compliance with state law, regulatory requirements, process, policy, and contractual obligations for acquisition of real property by the Village, including past and future acquisitions of real property.” His explanation sounds as clear as mud. Once must ask the Vice Mayor Dubois what is the rush, why is the meeting being scheduled in the morning, when Village residents are working and can’t attend? Why so vague in the purpose scheduled to be discussed during the Special Council meeting? Why not a meeting where all Councilmembers can attend? Vice-Mayor Dubois what are you trying to hide? My vision of Palmetto Bay is a government by the people, for the people and, just as important, conducted in front of the people. This means not just a council in a fishbowl but one that actually meets in a manner that facilitates meaningful participation. Whether it is good or bad news the residents, who pay taxes and fund the government, have the right to know and participate in what is occurring within the Village. Unfortunately, due to this unprecedented Monday morning meeting, Palmetto Bay is poised to take a big step backward in both transparency and participation. 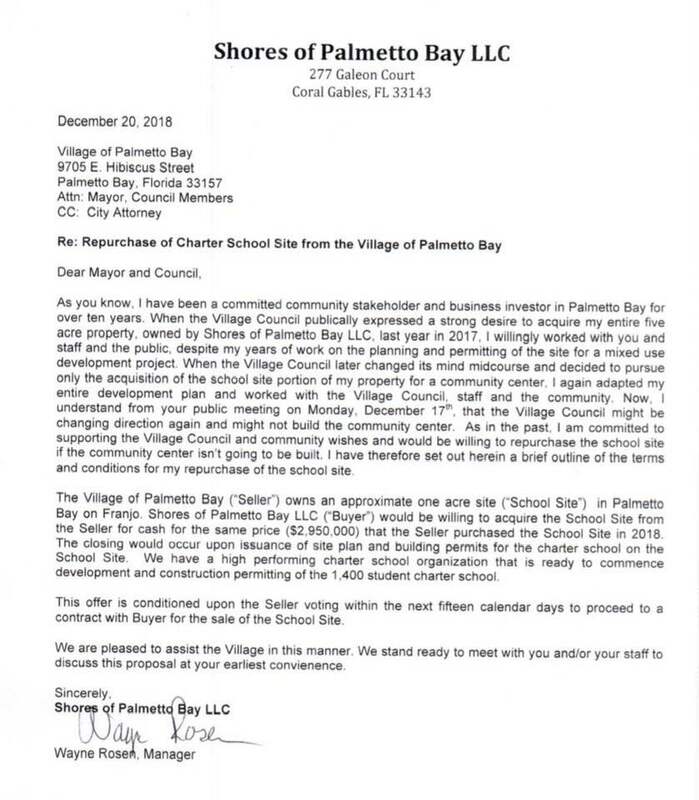 Unless this gamesmanship is stopped, this current Palmetto Bay council will actually give a rational reason for the paranoia that has plagued our Village's politics over the past eight years. We as a Village, and thanks to Vice Mayor DuBois, Councilmembers Matson and Fiore, are apparently heading to a dark place where this Village has never been. Let’s hope as a community that transparency wins out over darkness. EDITOR'S NOTE: This statement has been posted on several social media sites. It is republished here verbatim. Please see my blog post of December 10, 2018, Where's the fire? It appears there is smoke. Vice Mayor John DuBois has called a Special Council Meeting for Monday, December 17, 2018 at 11:30 AM for my opinion on this issue. It's on! 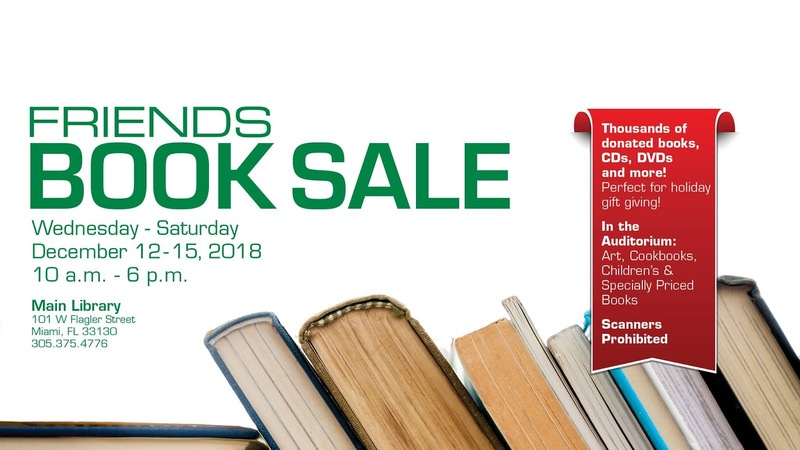 Friends of the Miami-Dade Public Library is hosting the 26th Annual Book Sale from Dec. 12-15 at the Main Library in Downtown Miami. Looking for something different to do? Here's a way to purchase a gift that is unique and supports our Miami-Dade County Library. Find the perfect holiday gift without stretching your wallet thin. Friends of the Miami-Dade Public Library is hosting the 26th Annual Book Sale from Dec. 12-15 at the Main Library in Downtown Miami. The event will run from 10 a.m. to 6 p.m. The sale will have thousands of donated books, CD's and DVD's to choose from. All proceeds from the book sale will go to special education and cultural programs at libraries. EDITOR'S NOTE: Here is the perfect opportunity to avoid downtown parking hassles – use the Metrorail – to the stop at the Government Center and walk over the Main Library (adjacent to the Government Center). You ask, I find and post. Information regarding the Miami-Dade County Parks, Recreation and Open Spaces Department public meeting to update the community regarding the remediation plan for Chapman Field Park. Many of us have been demanding restoration of the beloved Chapman Field public park and ball fields for 4 years! County inaction has left the park abandoned and desolate. You can see the effects of decay as you take the long walk to the dog park. The youth Khoury Leagues, adult leagues and Palmetto High school have not had the use of critically needed ball fields., which we asked to be restored. 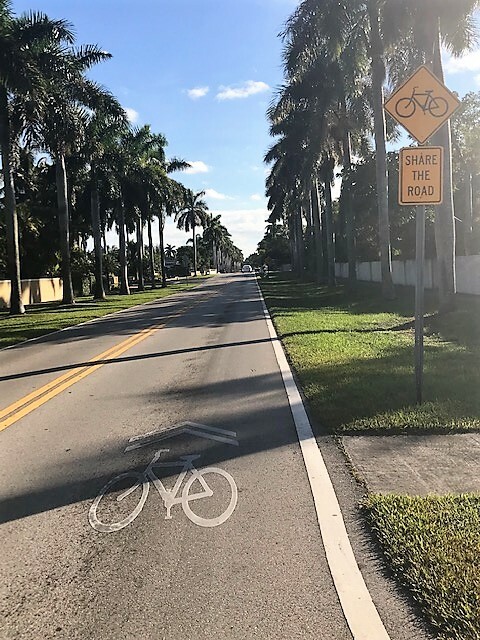 The municipalities of Cutler Bay, Palmetto Bay and Pinecrest have been shouldering a heightened burden in their parks. This must be made a priority for the parks Department. Please attend this meeting to speak up. The meeting will take place Tuesday, Dec. 18, 2018, at 6:30 p.m. at the Deering Estate Visitor Center, 16701 SW 72 Ave., Miami. 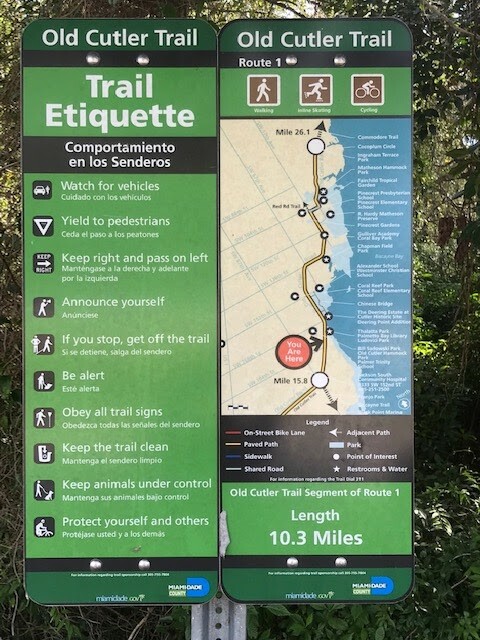 For more information, contact Danette Perez, Miami-Dade Parks Communications Division, at 305-755-7827 or Danette.Perez@miamidade.gov. Editor's Note: Chapman Field should be a partner in the local County/Municipal partnership / collaboration on a vibrant parks system. All the local county parks need some love - Chapman Field, People's Dock & Sadowski. Participate.